You will have to pardon me for being a little giddy over this news! 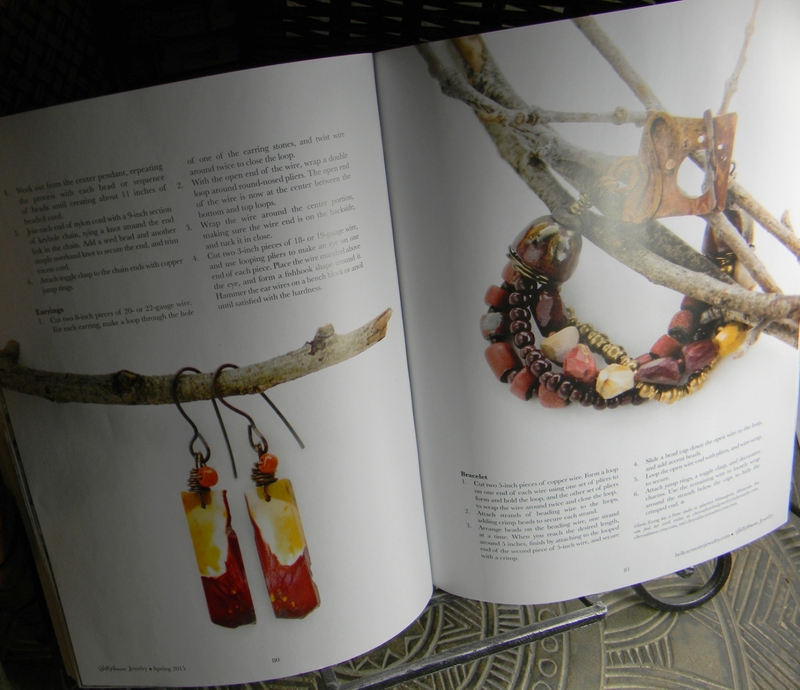 I have an article called "Garam Masala" being published in the March 1st issue of Belle Armoire Jewelry magazine. I had been considering submission of some jewelry pieces for publication for some time, but couldn't decide which magazine would be appropriate for my first submission. Then one day out of the blue, I had a message in my Etsy shop (ChrysalisToo) asking if I would be interested in doing an article for Belle Armoire? I will readily admit to being a hermit and mostly self taught in the art of jewelry design, so a friend of mine had to tell me that "Belle" is the premier magazine for publishing the work of independent artists in jewelry. How could I pass up this opportunity? The exotic name, Garam Masala, comes from a blend of curry spices, and the name seemed to descriibe the character of this collection perfectly! Spicy colors and a distinctive ethnic vibe. Another much more elaborate collaborative project for publication is in the works right now! I will keep you posted on the progress and maybe post a few little teasers along the way?